Over the past few decades the number of hours we spend sitting has steadily increased. Whether it’s in the classroom, commuting from place to place, putting in 8 hours at a desk job, or relaxing in front of the television at night, our bodies are in the same chair-shaped position for most of the day. There are serious consequences to all that immobility, ranging from chronic pain and increased risk of heart disease to reduced social skills and higher instances of depression. It’s not surprising, then, that experts have suggested we spend at least some of our work hours standing instead of sitting. Enter the height adjustable or standing desk. Increased Energy: Standing increases blood flow, which in turn causes the brain to be more alert. This improves concentration and cuts down on that mid-afternoon sleepy feeling. Standing also increases body awareness, so no more trying to get up on legs that have gone to sleep while you were busy typing. Increased Engagement: Standing provides opportunities for eye-level discussion with other co-workers as they pass by, even if only for a few minutes. This improves inter-office communications by encouraging real-time engagement, and it also combats the isolation that can come with hiding behind a monitor all day. Improved Core Strength and Posture: Standing increases core strength, which goes hand-in-hand with good posture. It can also relieve the back stress or pain that often comes with sitting in a chair for eight hours a day, and it automatically promotes movement—which our bodies are naturally designed for. How Long Should I Stand Up? While there’s a lot of agreement on the dangers of too much sitting, there are no hard and fast rules about how much you should stand. What everyone does agree on, though, is that it’s best to start slowly. Stand until your feet (or back, or legs) get tired, and gradually build your standing time. Try not to sit more than 30 minutes at a stretch and make sure when you do sit, it’s on an ergonomic chair. Overall, you should aim to stand for at least 2 hours out of an 8-hour workday. What’s the best height for an adjustable standing desk? Set your desk height so that you’re able to type on the keyboard with your arms hanging comfortably at your sides and your shoulders relaxed. Your hands should be at, or just below, your elbow. Check out this desk height calculator for easy reference. Put your keyboard and mouse close together at the same level. Your wrists should be straight while typing, and you can always use an adjustable keyboard tray to give you more mobility. Set your monitor at eye level so that you’re not tilting your head up or down while you work. A monitor arm is a handy tool for this, and it’s also easier to adjust than a stack of printer paper. It may take a little time to get used to a standing desk arrangement, but with the right preparation and an ease-into-it approach, you may find it becomes your new favourite way to work. Your body will definitely thank you in the long run. Standing desks are a great option for those looking to increase ergonomics in the workplace. If your team spends hours at a desk at a time, increase their office productivity by enhancing their ergonomics. 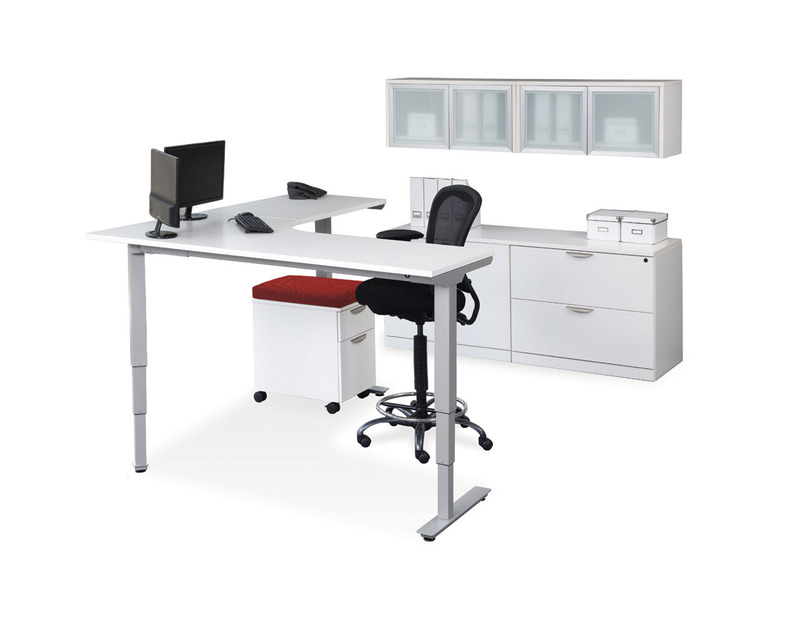 At Source Office Furniture Canada, we carry the best standing desks in Canada. With 12 locations across Canada, we have the best selection of ergonomic height adjustable standing desks. Delivery across Canada. 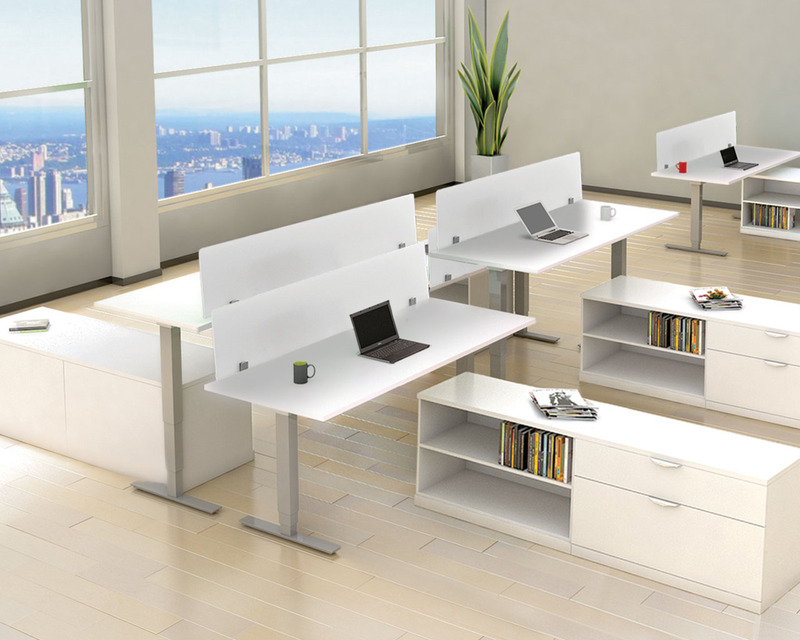 Not sure which one is the best standing desk for your office? 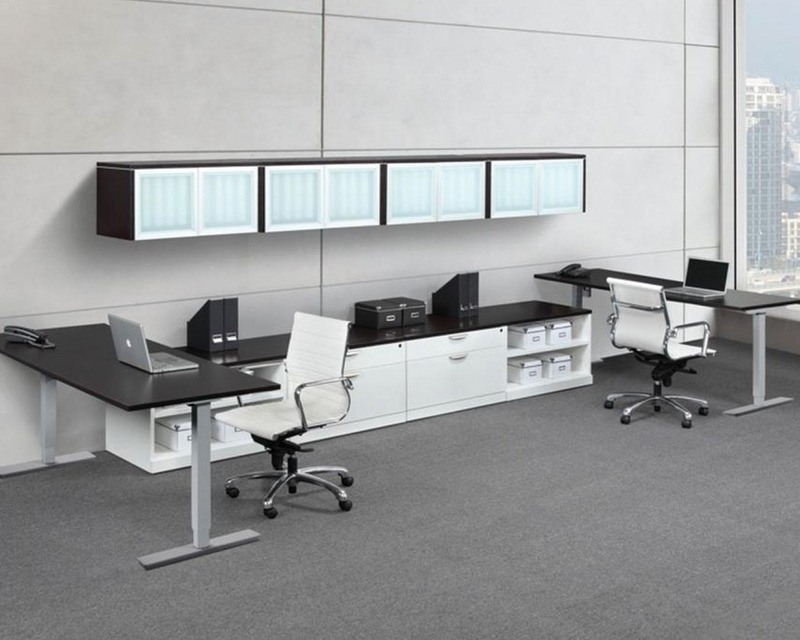 Start an online chat or get in touch with one of our space planning and office furniture specialists. 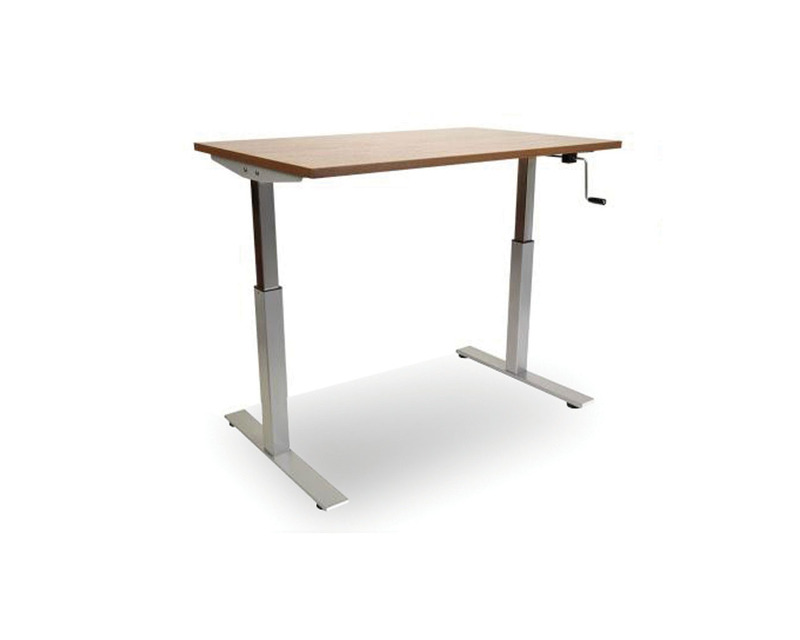 Start Browsing our Featured Adjustable Standing Desks.